Our Best Answer - How do I change or reset my BroncoPassword? 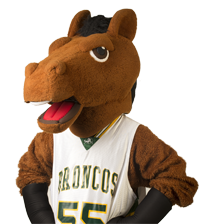 Your BroncoName and BroncoPassword are required for accessing many online tools you need, including BroncoDirect, Blackboard and your email. Go to the Cal Poly Pomona and click on the Change your Password link on the bottom of the page in the Resources column. Enter your BroncoName and BroncoPassword. On the Account tab in My Control Panel, enter your current password (the one you logged in with). Enter a new password. Make sure you get the check mark on the first New Password Box so you know your password meets the criteria for Cal Poly Pomona passwords. For more information, click on the following link: Change Your BroncoPassword. Note: Your password must follow the password complexity requirements and you cannot use a password that you have previously used for any of your Cal Poly Pomona passwords. For more information Guidelines for Your BroncoPassword. 3. Answer your secret questions. 4. Create your new BroncoPassword. SMS BroncoPassword Reset - Allows you to receive an SMS (Short Message Service) text message with a link that includes a unique token you can use to set a new BroncoPassword. If you cannot change your password and/or cannot remember the answers to your Secret Questions or use the SMS Reset, please call the IT Service Desk at 909.869.6776. You will need access to a computer with internet access when you call. What if I don't pass the Graduation Writing Test (GWT)?